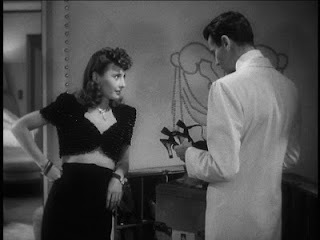 Preston Sturges works his magic once again in this madcap tale of Pike’s Pale Ale fortune heir/snake aficionado Henry Fonda running into radiant con lady Barbara Stanwyck aboard an NYC bound cruise ship. 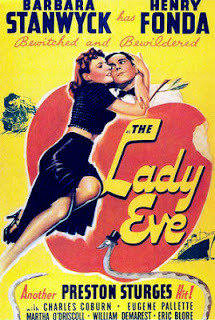 Duplicitous mayhem and hilarity ensue, aided by a superlative supporting cast that includes Charles Coburn as Stanwyck’s affable and conniving father, the bombastic Eugene Pallette as Pike the elder, and William Demarest as Fonda’s grouchy, irascible aide-de-camp Muggsy. And just when you think the good times onboard are over, Sturges and co-screenwriter Monckton Hoffe rev back up for a second act that tops the first for sheer belly laughs. Fonda has rarely, if ever, been this funny, and Stanwyck gives Kate Hepburn and Claudette Colbert a run for their money as the sexiest, most fetching thing on high heels. Classic screwball comedy from one of the best in the biz.